Vis-en-Artois and Haucourt are villages in the Department of the Pas-de-Calais, on the road from Arras to Cambrai. 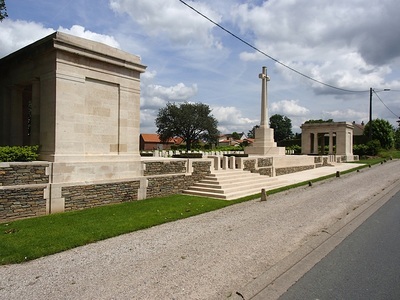 The Cemetery is at the north side of the main road between the two villages. Wheelchair access to the cemetery is possible, but may be by alternative entrance. 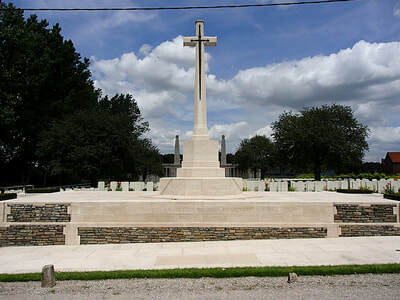 BOIS-DU-SART BRITISH CEMETERY, PELVES, at the North-Western angle of the Bois-du-Sart, which contained the graves of ten soldiers and airmen from the United Kingdom and nine soldiers from Canada who fell in August and September 1918. DURY GERMAN CEMETERY was on the South-East side of Dury village, a little South of the road to Saudemont. 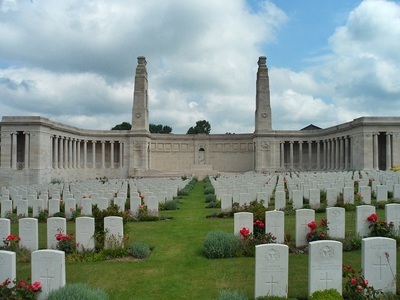 It contained the graves of four British and 49 German soldiers. 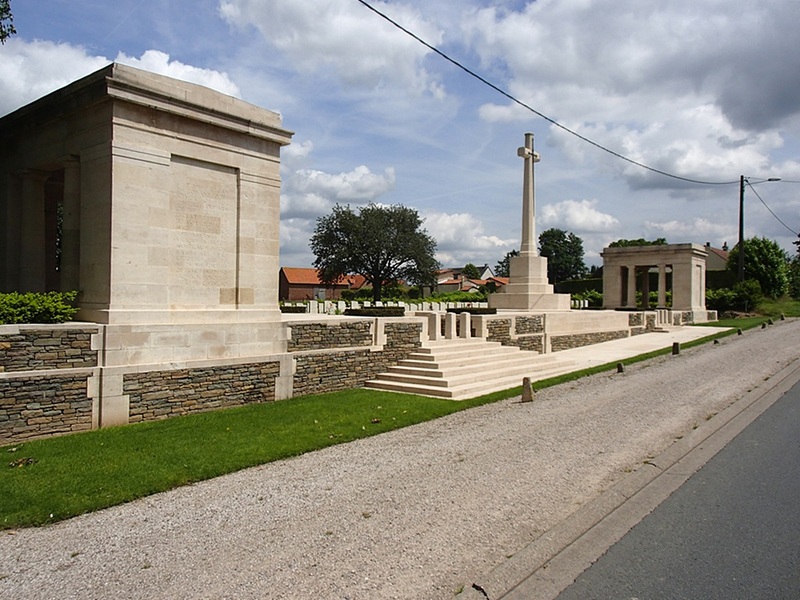 ECOURT-ST. QUENTIN GERMAN CEMETERY on the East side of the road to Lecluse. It contained the graves of 16 soldiers from the United Kingdom. 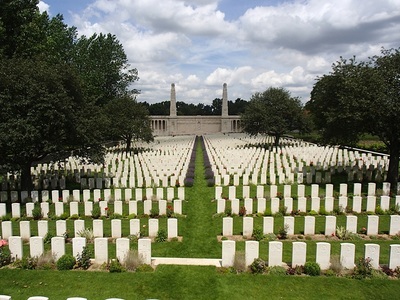 ETAING COMMUNAL CEMETERY GERMAN EXTENSION, which contained the graves of six soldiers and airmen from the United Kingdom, who fell in 1917 and 1918, 331 German soldiers (including some who fell in August 1914), and two Russian prisoners. LECLUSE GERMAN CEMETERY, on the West side of the village, contained the graves of 476 German soldiers, eleven soldiers from the United Kingdom who fell in 1917, and one Russian prisoner. 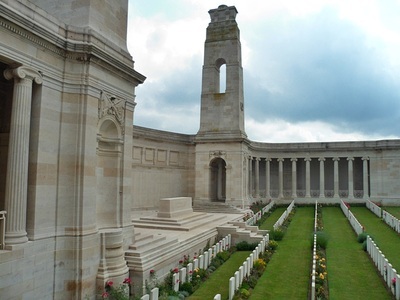 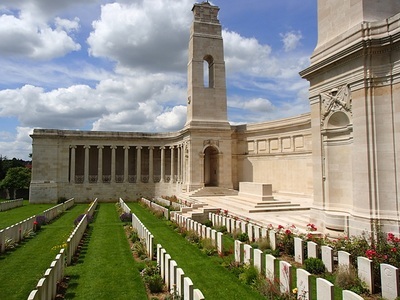 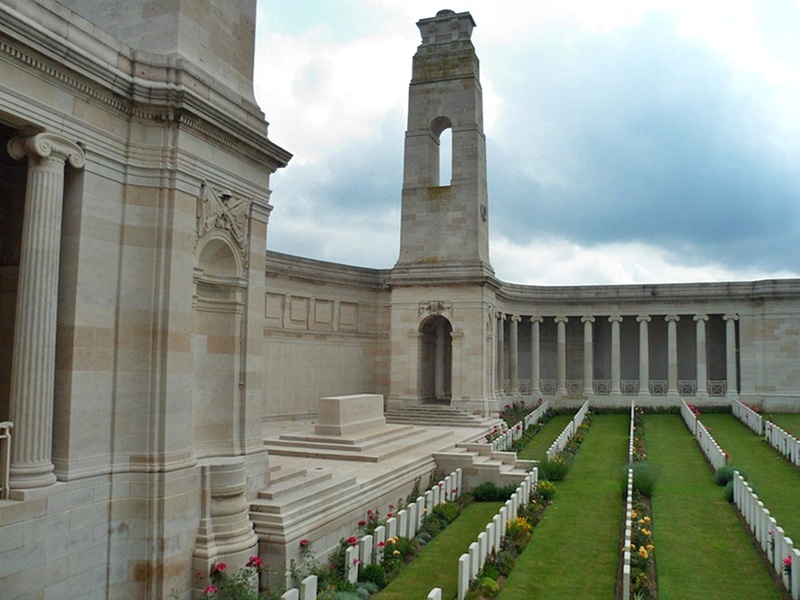 MONCHY QUARRY CEMETERY was in a quarry 800 metres South-East of Monchy-le-Preux. It contained the graves of 22 soldiers from the United Kingdom who fell in July 1917. PELVES CANADIAN CEMETERY, nearly 1.6 kilometres due South of the village, contained the graves of 39 soldiers from Canada who fell in August and September 1918. 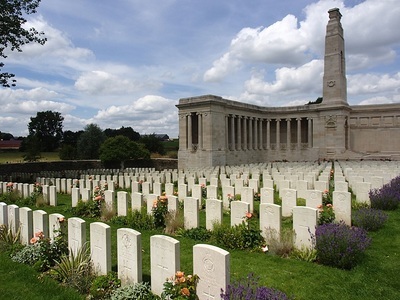 PELVES COMMUNAL CEMETERY GERMAN EXTENSION, which contained the graves of two soldiers from the United Kingdom who fell in 1917. 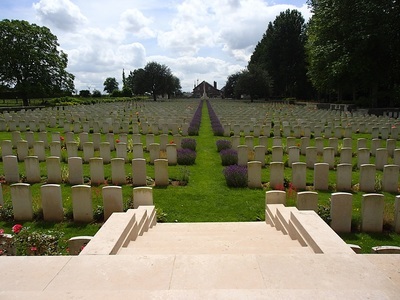 RUMAUCOURT GERMAN CEMETERY, on the Southern edge of the village, which contained the graves of 21 soldiers from the United Kingdom and six from Australia. SAILLY-EN-OSTREVENT COMMUNAL CEMETERY, which was destroyed by shell-fire, contained the graves of three soldiers from the United Kingdom (two of which were recovered). 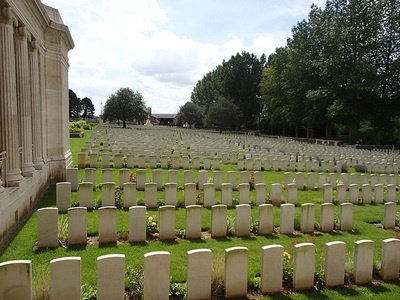 VIS-EN-ARTOIS COMMUNAL CEMETERY GERMAN EXTENSION, which was very badly shelled, contained the graves of 621 German soldiers, 14 from the United Kingdom, eight French and five Russian. 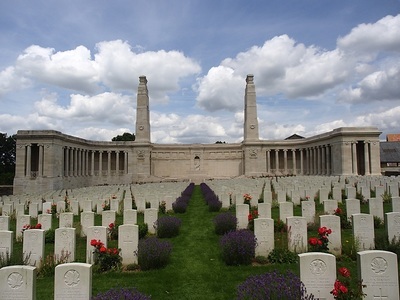 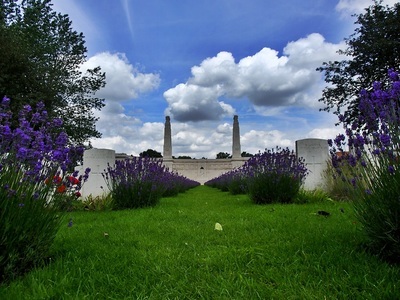 The cemetery now contains 2,369 burials and commemorations of the First World War. 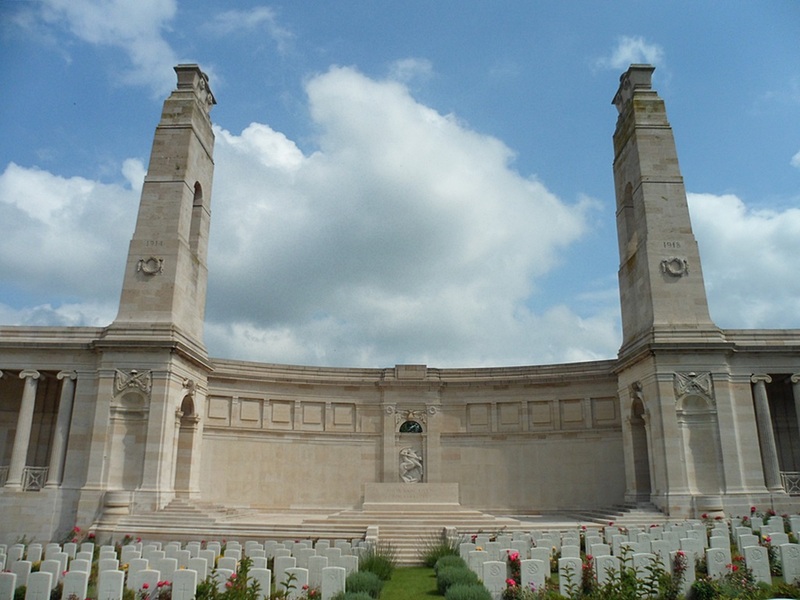 1,458 of the burials are unidentified but there are special memorials to eight casualties known or believed to be buried among them. 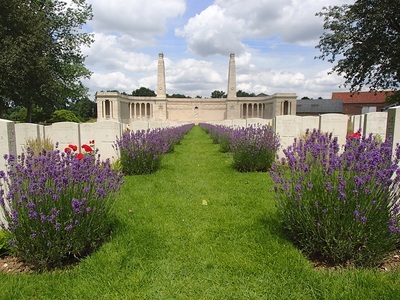 Other special memorials commemorate four soldiers buried in other cemeteries whose graves could not be found on concentration. 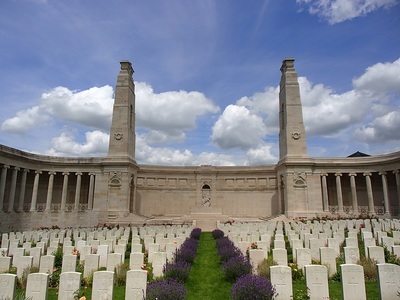 The cemetery was designed by J R Truelove. 17th September 1918, aged 19. 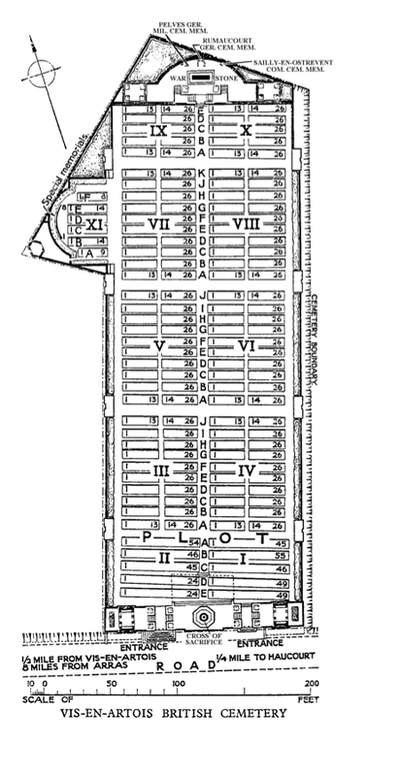 3rd Bn. 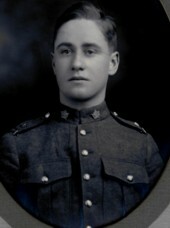 Canadian Machine Gun Corps. 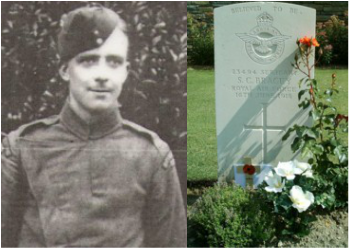 16th September 1918, aged 31. 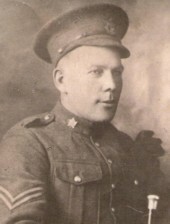 Son of Thomas and Mary Parker, of 105, Wellington Rd., Ashton, Preston.